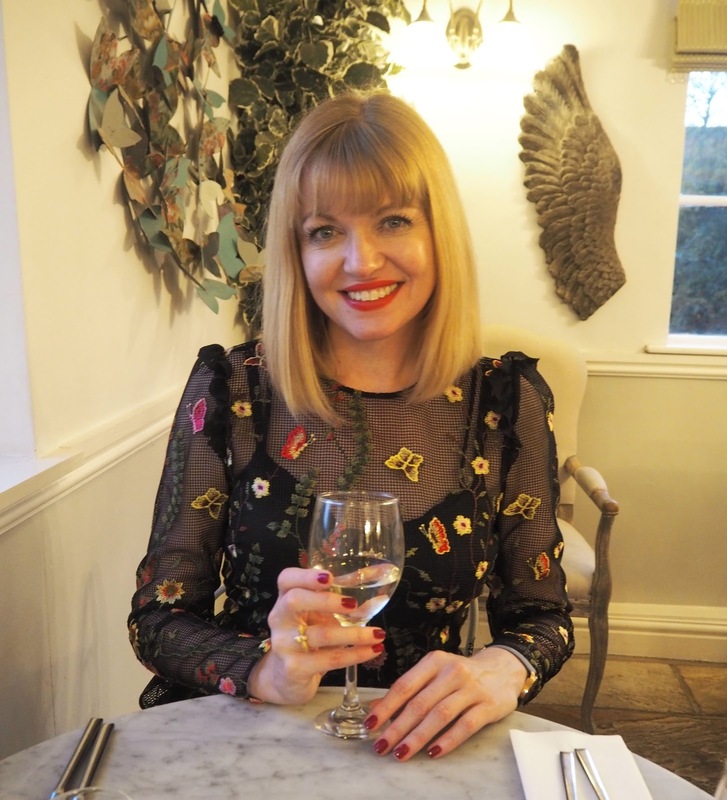 If you read my previous post, (A review of Beck Hall Hotel and Bistro in Malham, North Yorkshire), you might have noticed that this is the dress I was wearing for dinner. I posted a picture on Instagram and it received a lot of lovely compliments so I thought I’d share some full-length and detailed shots of it. I wore it in December, styled for a winter night out with opaque tights and high-heeled black suede ankle boots. but in actual fact, I have worn it on several other occasions too. Embroidery is huge this season, with embroidered detail featuring on both clothing and on accessories and footwear, but regardless of that, I love it and would wear it whether or not it is “on-trend”; this dress is so pretty, I wear it as often as I can. 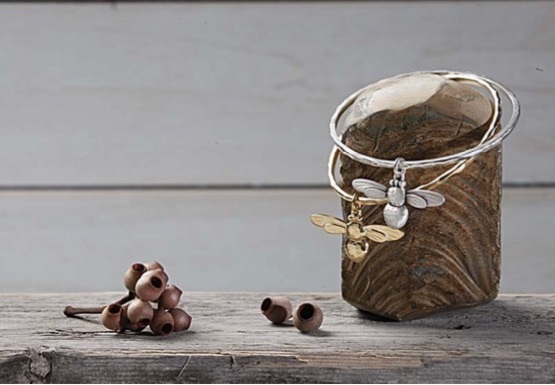 My gold honey bee ring is from my own jewellery and accessories website, Lizzy O. It’s by Danon and comes with matching earrings, necklaces and bracelets and is also available in silver. Do sign up to my monthly newsletter here for exclusive subscriber discounts at Lizzy O. I send it out on the first of the month and always include a discount code to use. My shoes are also oft-worn and although I shared this photograph in my previous post and on Instagram too, I can’t help but think this beautiful tiled bathroom wall at Beck Hall is the perfect foil for them and I can’t resist sharing it again. At the time of writing the dress is available in the clearance section on the Next website. It was originally £95 and is now £45 (and just £40 in the “tall” version). I’m just under 5’9″ and I’m wearing a UK size 12 tall. Huge thanks to @sleepdeprivedstyle who saw my Instagram picture and let me know the dress was still available. Black high-heeled bow shoes, Boden, past season. Honey bee ring in gold, £24 by Danon at Lizzy O (Sign up to my monthly newsletter here for exclusive subscriber discounts at Lizzy O). *Fiona red leather quilted cross body bag, £199 Ilex London. Previous Post A Review of Beck Hall Hotel and Bistro, Malham. Next Post The Perfect Pink Striped Top for Town and Country Dressing. Love this dress! How cute is that ring!!! Beautiful dress, I love the stamping, and the wonderful design of the sleeves and the neckline. The shoes are lovely and the outfit with the bag is wonderful. Such a gorgeous dress, Lizzy! I love the lace overlay with the embroidery on it. It could also be styled a bit gothic too – one of my favourite looks lol! All your posts contain explicit photos of such beautiful food that I literally drool haha!!. Model in the clothes is lovely too.